Road construction is forcing changes for drivers who use several busy highways in Montgomery County. 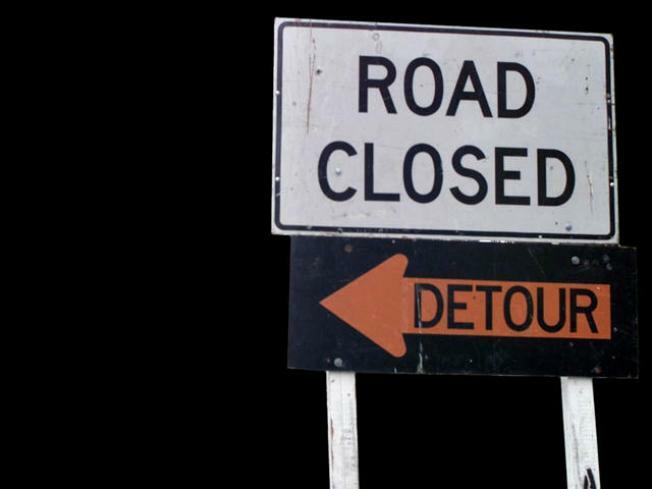 As early as this weekend, drivers travelling west on Randolph Road beyond Rockville Pike may be diverted to use Montrose Parkway, which connects to Randolph near Maple and Chapman avenues. Drivers heading to Interstate 270 should stay on westbound Montrose Parkway. While the construction is being done, drivers on Randolph Road will not be able to make right or left turns onto Rockville Pike. They'll have to follow Montrose Parkway to Old Georgetown Road and go right onto Montrose Road to get to Rockville Pike. Drivers heading north on Rockville Pike won't be allowed to turn left at Montrose Road. They'll be diverted to a new exit ramp to Montrose Parkway and should take a left onto westbound Montrose Parkway at the new signal at the bottom of the ramp, then make an immediate right onto Old Georgetown Road, then turn left onto Montrose Road. And drivers heading west on Randolph Road will no longer be able to cross over Rockville Pike to access Montrose Road. The change is scheduled to begin Friday at 7pm. If the switch is delayed by bad weather, it'll be completed the next evening of good weather unless it's delayed beyond Sunday. Then it will be rescheduled to begin after Jan. 2. Click here to view a map of the shift.